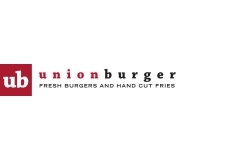 Union Burger® is redefining burgers and fries with food that is served fast, distinctively, as you like it…and all at a competitive price. UB is casual. UB is upbeat. UB is fun. UB is the perfect union. Fresh burgers and hand cut fries. Flavour and variety. Freshness and fun. And… UB is an attitude. Engaging. Memorable. And Eclectic. At UB our mission is really quite simple.